So this is what I wore for Easter last Sunday! I was way too exhausted to snap photos by the time we got back to Minnesota (we were in Iowa with my family) so I decided we would get photos later on in the week… and apparently I should have ironed my top before we took pics! Whoops, please no judgment! This skirt is from OASAP and it is so comfortable. I wore it all day on Easter, even the three and a half hour drive home and got a ton of compliments on it, so I can’t wait to wear it again soon! Love that skirt, so cheery! You look so gorgeous, that skirt is beautiful. This is such a cute outfit! I’m madly in love with your skirt, you styled it so well. You look absolutely gorgeous! So cute! I love the pink. Don’t feel bad about the shirt. I don’t iron. Roger does all my laundry! Ahhh I freakin love this. So so so gorgeous!!! What a gorgeous skirt! The colors are perfect for Easter! Very pretty!! 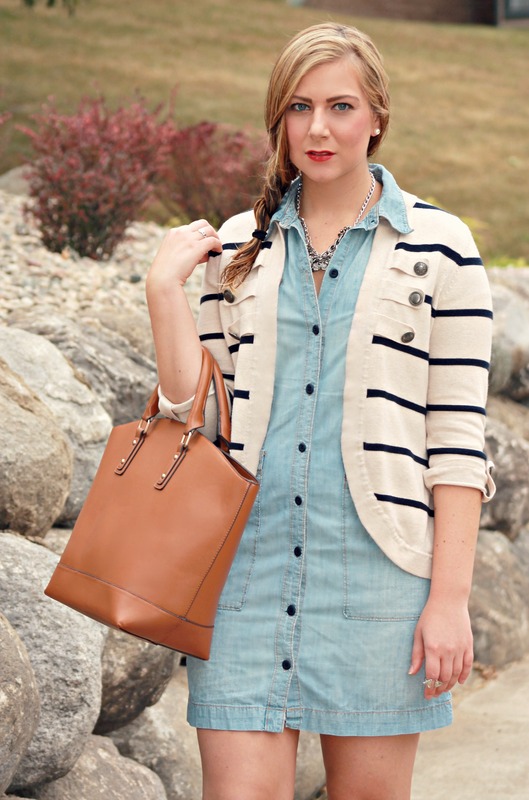 What a pretty combo–perfect for spring! What a perfect skirt for summer. Love the print and the colors. Love this outfit! That skirt is gorgeous! 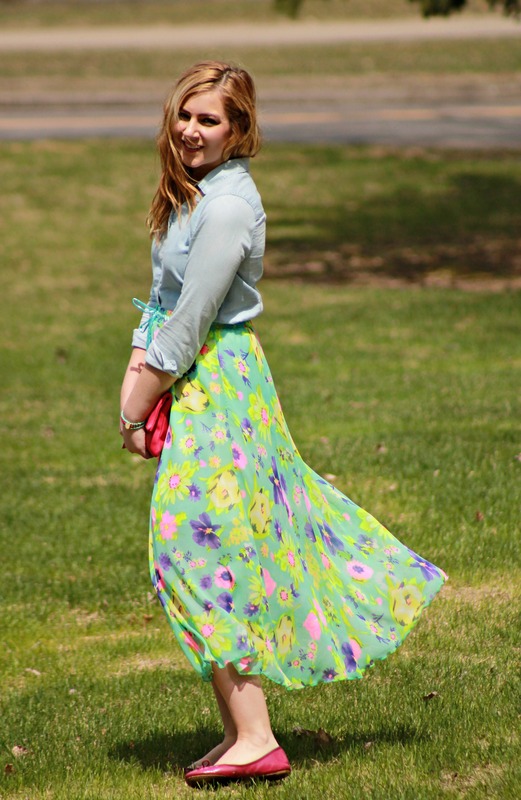 This is such a fun easter look – that skirt is perfect! This is so fun, and you look gorgeous! I didn’t have my camera on Easter, so I unfortunately forgot to capture my maxi skirt look, but I’m loving yours and glad you posted it! Love your skirt! So pretty for spring! What a pretty skirt! I love the florals, and it’s perfect with the chambray (wrinkled or not)! That skirt is so pretty! No wonder you got so many compliments! It’s the perfect Easter skirt! What an adorable Easter Sunday look. Love the colorful skirt! Love that skirt! The colors are fantastic! beautiful pictures! love that skirt blowing in the wind! looks so magical! great look! Your skirt is so pretty and perfect for Easter!! Wow that skirt has to be just perfect for spring.